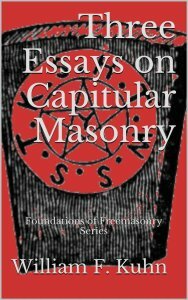 Not one to shy away from controversy, Brother William Kuhn offers some bold statements about the history and future of Capitular Degrees in general and Royal Arch Masonry in particular; however, mostly he is challenge his reader, and Masons in general, to think for themselves. And, he offers many things to think about, from the ill-named “York Rite”, to discussion that the true Lost Word of the Master Mason is communicated in the Royal Arch degree, to wishing that the existing members would take their rituals and heritage more seriously. He also promotes the sometimes-unpopular position, that new members shouldn’t be rushed through the Masonic degree work, that is, if they are even worthy enough to become a Mason in the first place.